This week on ‘The Writing Life of:‘ I am thrilled to be interviewing author Alison Layland. 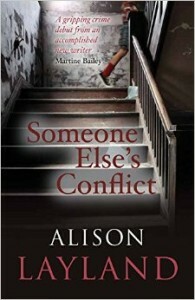 Alison will be sharing with us detail of her writing life, telling us all about her latest book ‘Someone Else’s Conflict‘, which was released on 6th November 2014 and answering a few fun questions too. Alison Layland grew up in Bradford, West Yorkshire and now lives and works in the beautiful Welsh countryside with her husband and family. She studied Anglo-Saxon, Norse and Celtic, and after a brief spell as a taxi driver pursued an 8-year career as a chartered surveyor before returning to her first love, languages, to become a freelance translator, which she has been doing for over 20 years now. She loves music, travel and all kinds of creative arts. She also loves the oral storytelling tradition and can be found every July at ‘Festival at the Edge’, an annual storytelling festival held in rural Shropshire. Passionate about language and literature, she translates from German, French and Welsh into English, and is currently trying to learn Croatian. Her debut novel, “Someone Else’s Conflict”, was published in November 2014. There was no particular moment. I’ve told myself stories for as long as I remember but for a long time never thought of the real possibility that other people might be interested in them. I got a step closer when we moved to Wales and I started learning Welsh. Our language tutor also happened to be a poet and writing tutor, so our language classes eventually morphed into creative writing classes. My early fiction writing was in Welsh – writing in another language was an interesting way to get over the self-consciousness barrier and start putting pen to paper – and I was delighted to win the short story competition at the National Eisteddfod. I translated some of my short stories and an early novel for friends and family to read and have since turned to writing in my native language, English. Once I felt ready to try and get published I began sending my work to agents and publishers. Like most writers I had a lot of rejections, but received some very encouraging comments about my writing, which helped me to persevere. I’ve always read widely, in all kinds of genres, so it’s difficult to say – I’m inspired by every good book I read, and also by music and songs. In a more general sense I’m lucky to belong to the dynamic Prime Writers [www.theprimewriters.com], a group of novelists united by the fact that our débuts were published when we were over 40. Everyone there is incredibly supportive and inspiring about all aspects of being a published writer. I get up early in the morning and have a couple of hours’ "me" time to write before the rest of the family are up and about, and my working day begins. I’m lucky that my main work is as a freelance translator and I work from home, so I can often make time during the day to write as well. But the mornings are my most creative time. I like to write at my computer. Having spent over 20 years as a translator, as well as a writer I can type quickly and my writing flows. In fact, spending so much time at the keyboard means my handwriting has really deteriorated, so I prefer typing – sometimes, when I write longhand, I can’t read my own writing or follow my scribbled notes. I have a notebook in which I jot down ideas as well as anything I think of when not at my desk, and if I’m away from home I write full scenes longhand in there, too, in my favourite violet pens. I have a different notebook for each novel and they’re wonderful to keep and look back on; nicer than the many Word files and folders I keep saved and squirrelled away on my computer. My favourite character in ‘Someone Else’s Conflict’ is main character, Jay Spinney, a storyteller who leads an apparently carefree life and at first comes across as bit of a free spirit – but is he? In fact, he’s haunted by experiences he had as a young man in the Croatian conflict of the 1990’s, and his stories and happy-go-lucky attitude are his way of running away from his guilt about the events he was involved in. I have a vague outline, main characters and "shape" of the novel, and certain key scenes to aim for. However, I don’t know how I’m going to get there until I actually start writing. I’m led by my characters (though I try to keep them under some kind of control) and a line of dialogue or observation in a scene may lead to a whole new thread or direction. Jay has been roaming rootless for years until one morning he arrives in a small Yorkshire Dales town and sees a face in the crowd which takes him back to the best and worst times of his life. In the aftermath of a failed affair, Marilyn is rebuilding her life and her barn when a lightning storm threatens to ruin everything. Should she trust Jay is who he says he is, even when he is economical with the truth? When he disappears running after an immigrant pickpocket, Marilyn is visited by the police with a tale of murder; should she keep quiet about her doubts? Looking at my notebook for "Someone Else’s Conflict" I see I started jotting ideas down in November 2009. It took me about two years to finish an initial draft that I was happy with. 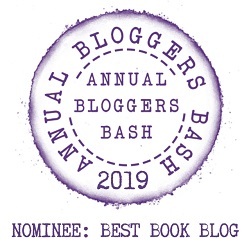 Once I had my publishing contract with Honno in early 2014, I did a final substantial rewrite to take account of my editor’s comments and some changes I wanted to make myself, and it was published in November 2014 – so five years in total. I hope it won’t be so long until the novel I’m currently working on is published! I have ups and downs but once the story is flowing and the characters are alive in my imagination I don’t have any trouble. Sometimes, when starting a new novel or story, or if I reach a sticky point, I like to take myself off for a few days, usually house-sitting for friends, to get things flowing again. I always find that the combination of time spent completely on my own and the change of scene gets me into the zone. I often find names difficult, and play around until I find one that feels right for the character. Occasionally, a character will come to me with a name already, as was the case with Jay. His surname, Spinney, occurred to me one day when I was thinking about names that historically came from occupations. There are a lot of common surnames associated with traditional textile-related industries – Weaver, Dyer, Tailor etc. – but it occurred to me there were few surnames associated with spinning, a fairly widespread cottage industry around the time when surnames were being adopted. So Spinney originated in that little thought, and the fact that it suited his storytelling, tale-weaving nature. It’s not something I’d thought about much until watching the TV series ‘Wolf Hall’ recently when, despite the difference in genre, I was immediately struck by the idea that I’d love Mark Rylance to play Jay – from his appearance to his wonderful way of portraying the hidden depths of a character. I feel that Andrea Lowe, who plays DS Annie Cabbot in the ‘DCI Banks series’, would be perfect for Marilyn. I’d love to find an up-and-coming young Croatian actor for Vinko, but don’t know of any – yet. Several friends and family members read early drafts of the novel, and I was very encouraged by their reactions. In particular, for over 6 years now I’ve being meeting up regularly with two talented writer friends, Martine Bailey [www.martinebailey.com] and Elaine Walker [www.elaine-walker.com]. We detailed feedback on each other’s work and generally enjoy friendship and support. So they saw "Someone Else’s Conflict" through from start to finish, for which I’m really grateful. Thanks for your comments Georgia.